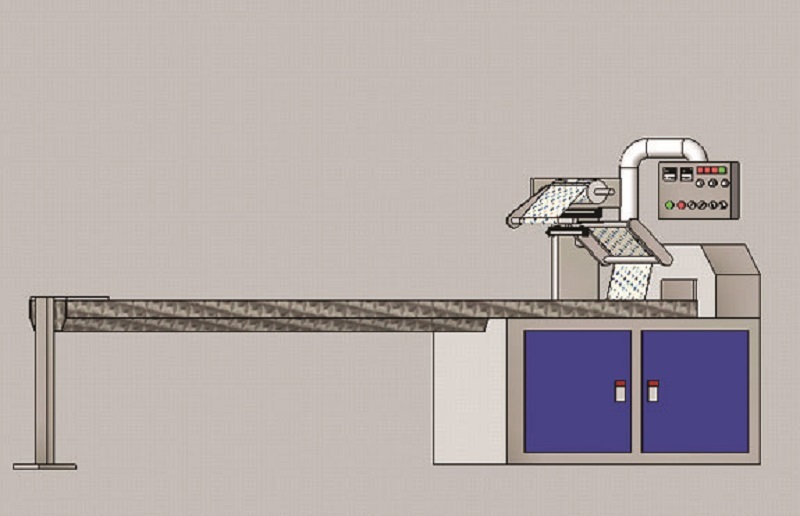 In the horizontal packaging machine, the static electricity generated on the film surface during the process will cause the films to stick onto the rollers, adhere to the metal surfaces and adhere to the edges, the dust particles entering into the field of static electricity will adhere to the surface and cause pollution in the packed product and therefore result into defective production. In case of packaging is effected over the open folded side, it is obvious the same surface will be facing to each other leading into surfaces with same charge repelling each other. Accordingly, it cannot be expected that the folding is proper, the packages can be opened due to ionized sections. As a solution, static electricity should be removed while the film is in its open state. When Puls static eliminator bars are placed on both surfaces and faces of the film as seen in the figure, problems arisig will be solved by neutralizing the electrostatic charge generated during the process.